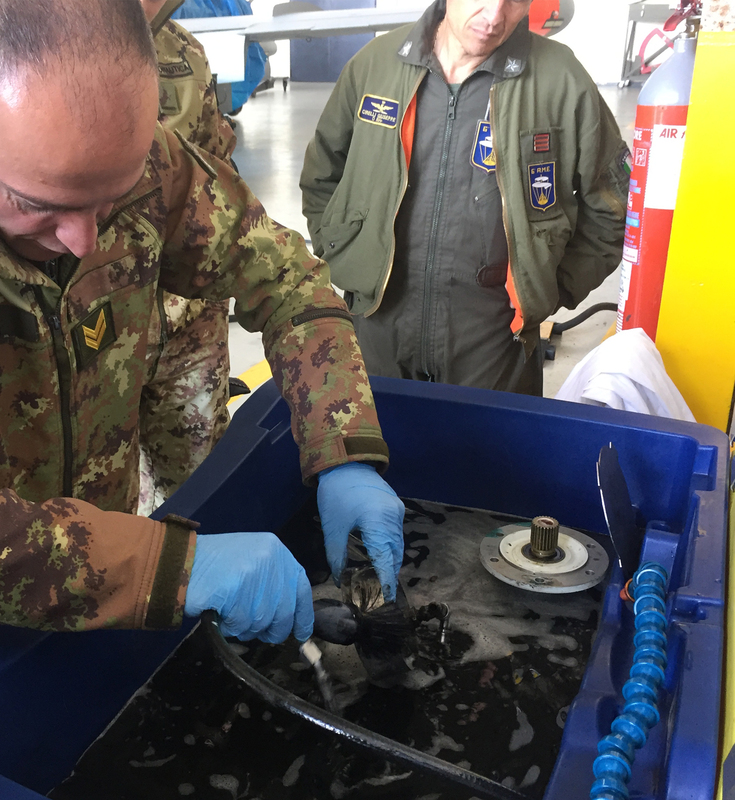 We could not have asked for a more stimulating and engaging test to be conducted than the field test in Pratica di Mare at the Italian Air Force base. Pratica di Mare is home to the 14th Air Force Squadron, the flight departments of the Guardia di Finanza, Carabinieri, the Police, the Flight Test Centre and the 6th Helicopter Maintenance department. The Helicopter Maintenance Department trailed the Biopower and were so pleased with the results that they extended the use of the system to other departments.